Recently we've seen a remarkable rise in the number of micro-breweries popping up around our region. So to find out more the Club organised a trip to one of these businesses, namely Mobberly Fine Ales Limited. 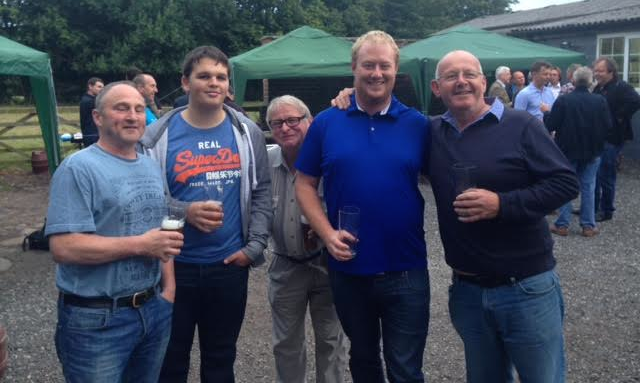 Established in 2011 Mobberly Fine Ales is situated in the heart of the Cheshire countryside and our members gathered on a breezy but dry evening. 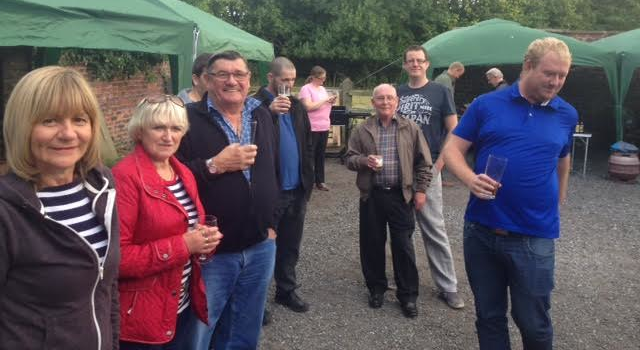 A £10 per person fee entitles anyone to a brief tour around the brewery itself and unlimited sampling. The range was wide, from their standard bitter to some exotic speciality beers, created with hops from around the world and unusual ingredients such as mango. In addition to beer participants could wet their taste buds with wine and cider. This obviously proved to be a popular mix with around 50 people attending on this particular evening. An extra attraction was the excellent barbecue cooked burgers from locally sourced beef. Impressed by what they saw and tasted quite a few attendees purchased some of the presentation packs on offer. All in all it was a successful and enjoyable evening. And many thanks to David Spencer for his trip recollections. 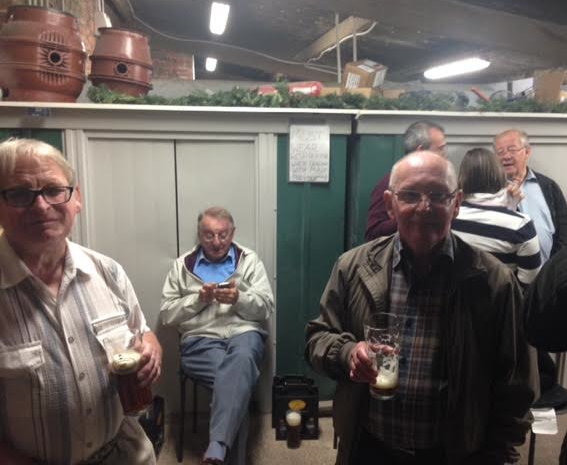 Check out this website and the various Club noticeboards or details of future micro-brewery trips.